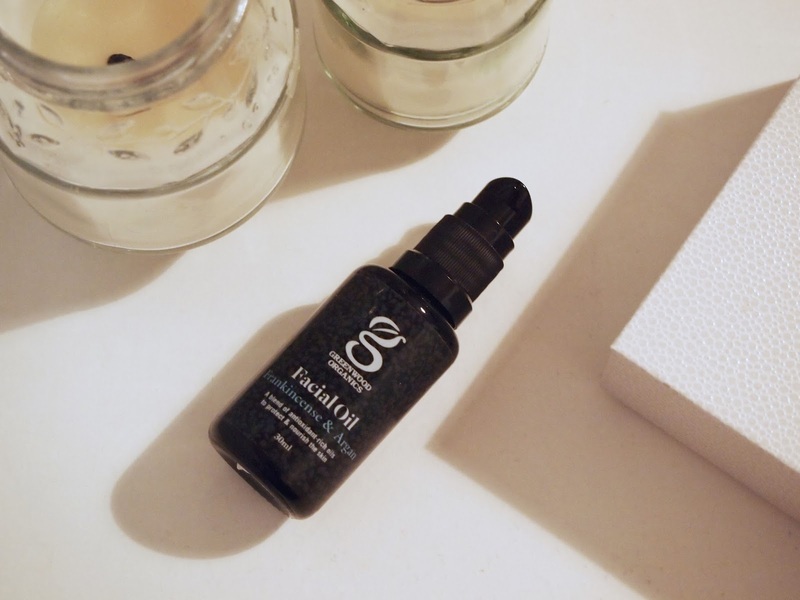 I've always been a little wary of beauty oils - I've always associated them with breakouts or greasy hair. I came round to hair oils after trying the Moroccan Oil and never looked back. I've been a little slower on the uptake of facial oils however, I've always been very preoccupied having a matte finish on my face and using an oil seemed to be counter productive to this. Oh how wrong I was. My first step into facial oils was the lovely Frankincense & Argan Facial Oil from Greenwood Organics (link here). It has a handy pump that actually pumps out a perfect amount of product (sometimes I find the pumps can give you way too much!). I massage it onto my face and neck and it sinks in really nice and quickly - it didn't leave my skin oil slick-y at all! This oil did have quite a pungent smell to it, very herby, but that faded after a few minutes. I like to put it on at night, after I've removed all my make-up, and in the morning I wake up with lovely soft skin which is full of moisture!